Two glossy ibises were spotted in Caohai Scenic Spot, Guizhou province, on May 3. 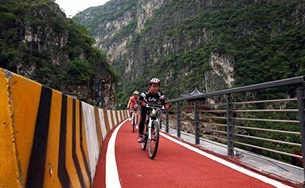 Stretching from the 1915 Square to the tourist terminal in Chishui city, the Chishui river valley tourism highway is comprised of a 160 km mountain bike cycling route and a 154 km route for motor vehicles. A new railway operating plan has increased the country's passenger and freight train capacity, according to China Railway Corp. 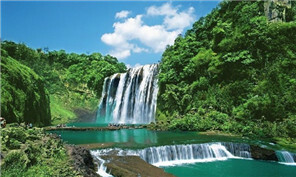 Agreements related to several culture and tourism projects in Guizhou province, Southwestern China, were signed during the annual China (Shenzhen) International Cultural Fair. Difficulty in getting financing has been plaguing many enterprises, especially small and mid-sized innovative start-up businesses. "Zimei Jie" (Sisters' Day), a five-day festival similar to Valentine's Day, is helping boost tourism in an ethnic county in Southwest China. Tellhow E-style, the internet-based big data industrial park in Guian New Area, Guizhou province, will welcome its first batch of businesses in the second half of the year. Guian New Area in Southwest Chinas Guizhou province plans to highlight the emerging big data industry to drive its economic growth, according to the local government.